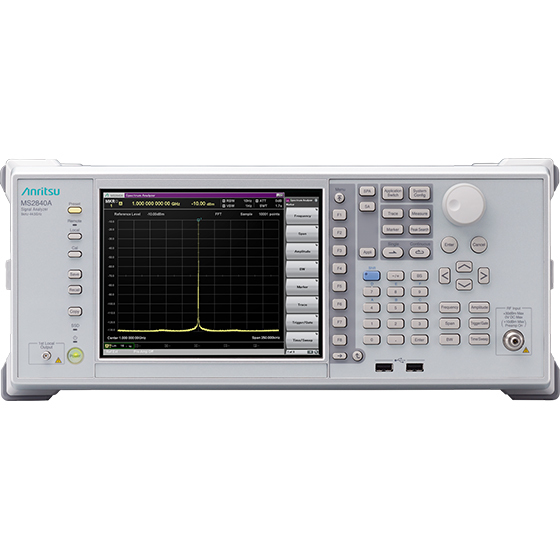 The Spectrum Analyzer/Signal Analyzer MS2840A has an upper measurement frequency limit of 44.5 GHz and its carrier close-in SSB phase noise performance is overwhelmingly best-of-class for middle range models. 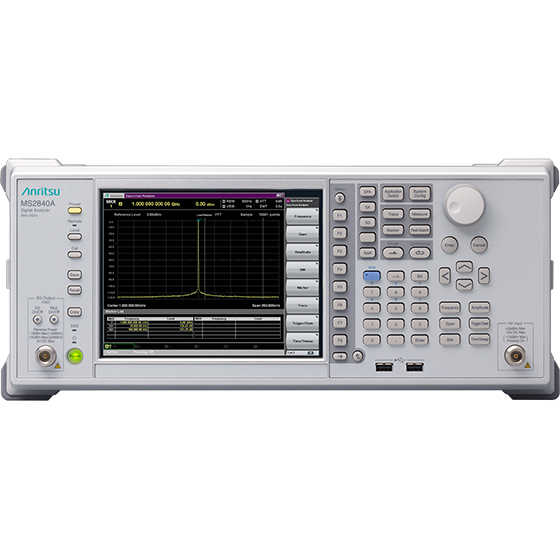 The MS2840A supports measurements across a wide frequency band ranging from applications such as microwave wireless backhaul, requiring high phase-noise performance to measure transmitter carrier close-in spurious, to VHF/UHF private mobile radio (PMR). 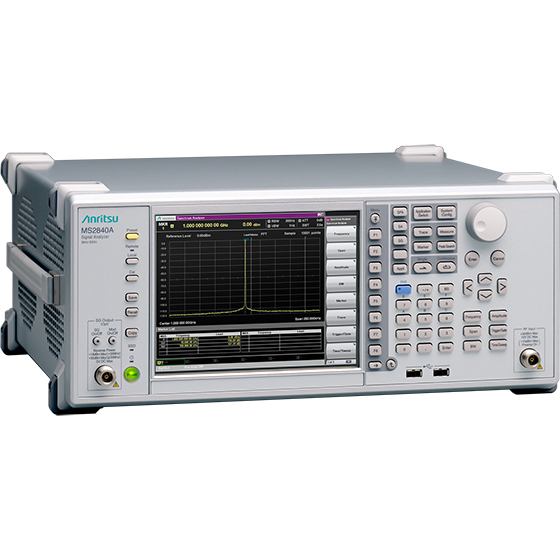 Connecting the High Performance Waveguide Mixer MA2806A/MA2808A to the MS2840A not only supports wide dynamic range measurements from 50 to 90 GHz but also eliminates image-response effects at wideband signal measurements, supporting millimeter-wave wideband wireless applications, such as wireless backhaul, automobile radar, WiGig, etc., as well as evaluation of millimeter-wave radar antenna sidelobe characteristics, which requires high sensitivity. 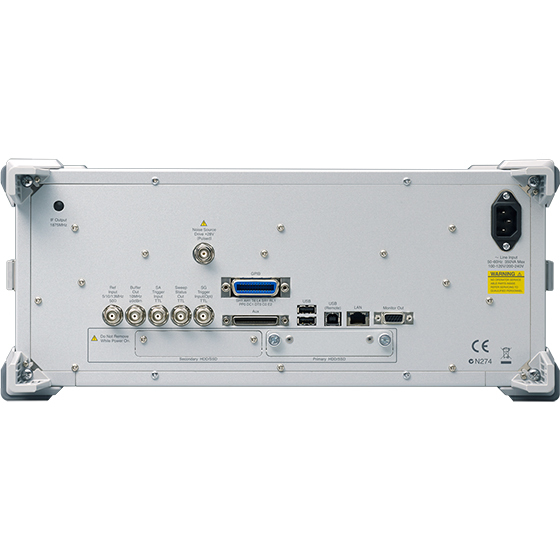 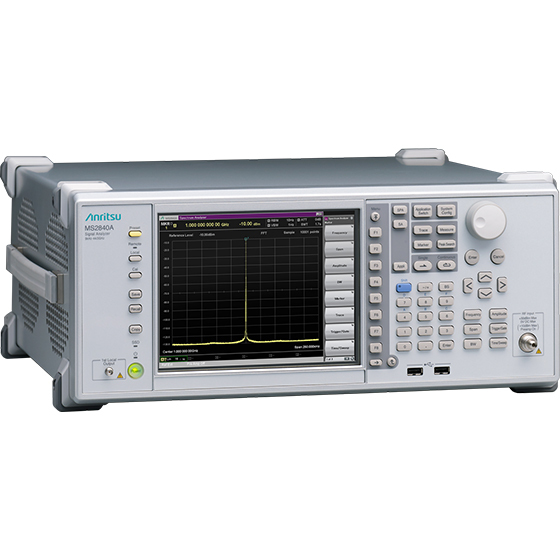 Additionally, spectrum measurements up to 325 GHz are supported by connecting the External Mixer (Harmonic Mixer) MA27xxC series. 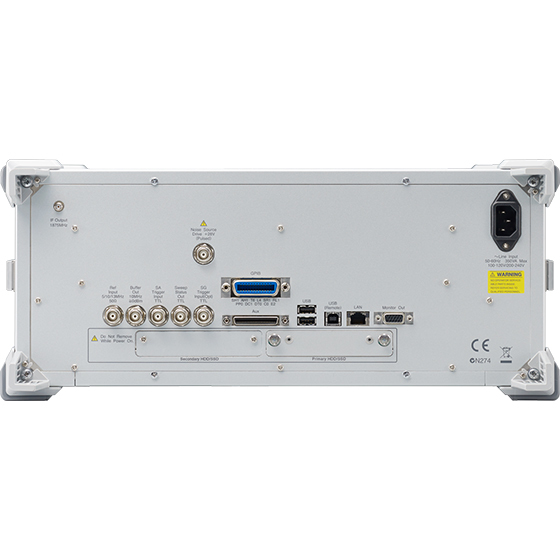 Full range of built-in versatile and convenient functions for evaluating wireless Tx characteristics, such as Channel Power, Occupied Bandwidth, Adjacent Channel Leakage Power, Spectrum Mask, Frequency Counter, etc.